Stand-Up Vertical Grip Stapler fastens 30 sheets of 20 lb. paper and offers a small footprint so it takes up little space on your desk. Standing 6" high, this grip stapler is always visible and available for use. Unique design offers comfortable operation with cushioned, rubber grip inserts. 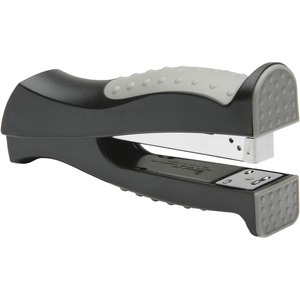 Stapler also features a smooth nonjamming mechanism and uses standard staples.